We have talked quite a bit on this blog on cultural differences in doing business across borders. Many individuals and businesses only account for linguistic and perhaps legal differences for doing business in say India, China or Mexico. In any of these countries as well as almost any other, it is quite common to eschew cultural differences as something of little importance with the mindset of “They will conform to us”, or “Culture isn’t that a big deal”. These ways of thinking on the part of businesspeople couldn’t be farther from the truth, as well as highly insidious. Culture does matter in doing business internationally. 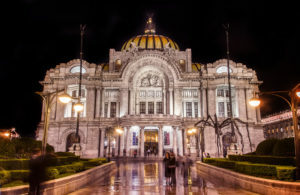 If cultural differences in doing business in Mexico were of no obstacle or concern for foreign companies or businesspeople, we would not have undertaken the task of writing our book on business in Mexico. I personally have witnessed hundreds of thousands of dollars of business between Mexico and the United States go down the drain in a matter of minutes because of a lack of cultural understanding of another country’s business practices. This is not to say that if you are an American, British, or Japanese businessman, that the ball is completely in your court to understand Mexico’s business culture. Your Mexican counterpart SHOULD have a bit of background on how business in done in your country, although this may not be the case. I have also seen business deals blown by Mexican businessmen in the United States as a direct result of the Mexicans’ lack of understanding of American business culture. 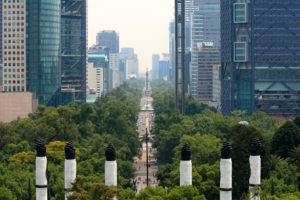 But when doing business in Mexico, the safest assumption is to presume that your Mexican counterpart will be prepared to do business in the “Mexican” way with little understanding of your business culture. You should not take this as an offense, but simply prepare yourself as well as your team for how business is done in Mexico, that way you can go into Mexico with the upper hand. Why are Certain Business Cultures the Way They Are? Certain Mexican or Latin American cultural practices may be viewed in the West or other regions of the globe as primitive, backwards, inefficient or stupid. Every cultural practice or value on the globe has a source, be it historical, religious, political or whatnot. One interesting example of such a phenomena is that compared to most of the rest of Latin America, Chile and the city of Santiago has very little nightlife. Chileans tend not to go out to bars and dance and drink the night away on the same scale as other Latin American in nations such as Brazil, Colombia, Mexico and Argentina. A foreign businessperson may go to Chile expecting for a Latin American “vida nocturna” or nightlife, that his client will want to go to dinner and then drink the night away (as can be the case in Mexico) and instead find the Chileans to be boring, not animated, reluctant to party, uptight and serious when compared to their Latin American neighbors. However there is a historical justification for this lack of nightlife in Chile; during Chile’s dictatorship from 1973-1990 there was a nightly curfew, thus killing any hope for a long night out. This historical factor still influences Chilean culture today. A foreign businessman in Santiago, with that one bit of historical information has a sound understanding of why Chileans tend to have different social values than their Latin neighbors in regards to late nights out. The Chilean example is one of many throughout the world of how knowing the root cause of a cultural practice gives us a greater understanding of a nation’s culture and business practices. When we render intercultural consulting and seminar services, we always advise our clients of one key purpose. Our goal is not to convince our clients that certain aspects of Mexican business culture are in some way superior or inferior to those of their own nation or region. Our goal in turn is for you to accept and understand the cultural differences and their causes in a nation like Mexico. When you accept a nation’s culture and business practices for what they are and go into such business endeavors with strategies on how to deal with such differences, the probabilities for success while doing business in Mexico or any other nation can increase exponentially. Should you be interested in our intercultural consulting and seminar services for doing business in Mexico, please feel free to contact us for an assessment of your needs. We offer our services in person, over the phone or by webinar.